Questions about Modern Gray SW 7632? Please leave a comment below! Love this color for my whole house! Is warm stone enough of a contrast for interior front door? I love this choice! Yes, Warm Stone would be a perfect contrast against the Modern Gray. Let me know how everything turns out! I want to use the modern gray on my walls in my kitchen. Which white color would you use for the cabinets? I don’t want a super bright white, but I also don’t want anything with a yellow tone. Any suggestions you have would be greatly appreciated. I love Modern Gray! Great choice. There are several off-whites from SW that I love. I can specify a specific one that would work for your kitchen through viewing more pictures, especially the other fixed elements (granite, backsplash, flooring, etc.) through my Interior Color Consultation package. My ranch house faces north, and I was leaning toward Modern Gray with Acier on the soffit. House has a weathered wood shingle roof that can read slightly warm/orange-ish at certain times of day and dark bronze windows and gutters that are similar in color to Black Fox. The description of this paint as a taupe is confusing me. Now I fear I may be on the wrong track! What do you think? Thanks. It sounds like you are on the right track! 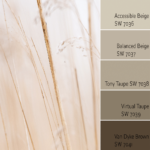 “Taupe” can be confusing, but it is really just a color that is in between gray and beige. I always recommend sampling your colors before you commit to make sure the undertones go with your existing elements. 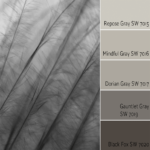 If you would like more help, I offer Exterior Color Consultations! Thanks so much and Happy Memorial Day! I’m thinking about using Modern Gray in my north-facing kitchen. Does this color work well with cherry cabinets? Thanks! Yes, I do think that Modern Gray can work with cherry cabinets as long as it also goes with the undertones in your backsplash, countertops and flooring! 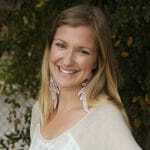 Let me know if I can help with coordinating with your other selections through an Interior Color Consultation. Thanks, Christina! Have a great Labor Day! I’m trying to choose between Modern Gray and Accessible beige for my Laundry Room. I’m really leaning towards Modern Gray since the room is currently painted Urban putty and I’m not sure Accessible Beige would give me enough of a change. I’m looking for a lighter neutral since there are no windows in that room and the Urban putty seams to feel really heavy. The cabinets are a medium caramel brown knotty alder with a granite countertop of brown, tan, gold and grey. I am looking for a white that will work well for my ceiling regardless of which of those colors I choose. I was thinking maybe Marshmallow or Extra white. Marshmallow is painted in my guest room near by. Do you think either white would work either colors? I would go with the Modern Gray for more of a change. It sounds like it will coordinate with the gray in the granite. If you have Marshmallow in your other room, it would be nice to use it again for the ceilings in the laundry room. Let me know how everything turns out! I too loved modern gray and have painted it for whole house. Now I am thinking what colors may compliment this kind of gray. Will plum, teal or any color goes well for a accent wall or just dark gray is better? I’m so glad that you love Modern Gray! 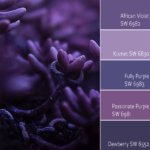 I really like the idea of using teal (or plum) accents to liven up the gray tones. Of course if you prefer a monochromatic look, dark grays are the way to go. Keep me posted on what you decide! I have the similar question as John. I painted Modern Gray in living room, dining room, and hallway of a split entry home. I am looking to paint the right walls of the split staircase an accent color, but having a hard time deciding on the color. Would like to pull more gray than taupe color. The house does not have great lighting. Was considering a teal, gray, or darker blue but not sure how dark to go in any of these colors. Thoughts? Did John mention what he ended up with? Great question Judy! I agree that if your lighting isn’t great, going too dark will make your space feel too cave-like. I would stick to more of a medium-toned color instead. My rule of thumb for accent walls staying in the same “color family” as the overall paint color, is to find one a few shades darker on the same paint swatch. There are a few good ones on the same swatch three and four colors down from Modern Gray that are medium-toned grays/geiges that will coordinate well without getting too dark. I tend to stay away from doing teals or brighter colors on walls that you may end up getting tired of in the future. Those colors are easy to switch out in accessories (like pillows or artwork), but harder to paint over on larger wall areas. Keep me posted on what you end up deciding, and if you need more help I would love to help through an Interior Color Consult! 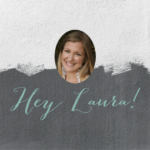 I included your question in a blog post and you can see it here: Hey Laura! Is Colonnade Gray the right Choice for my Open Space? We are thinkng about using modern gray for our bedroom with French Moire as accent wall. What do you think. Also Repose Gray what color would you suggest for accent wall. 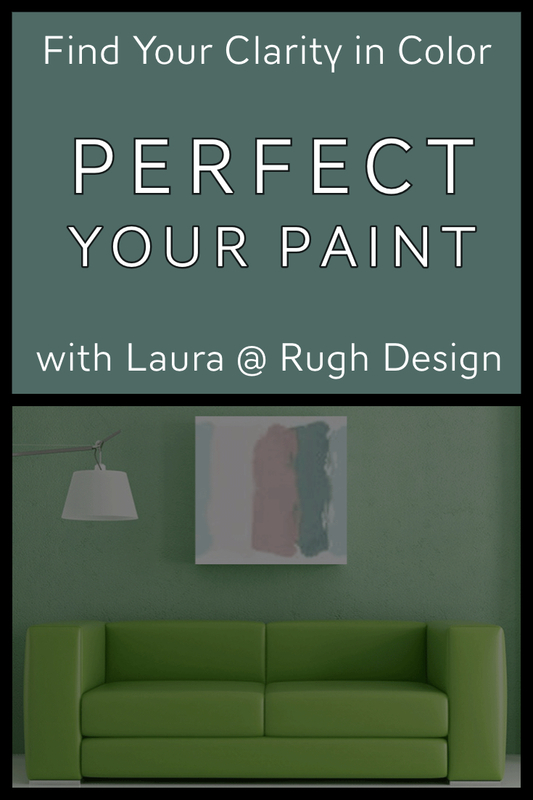 Hi Laura, I am repainting my very dark foyer hallway . It is a large spaces 12 x 10, north facing little light. The previous owners painted a mustard yellow with a LRV of 42 –and it makes it look like an old lady house. I am looking for a griege and want your opinion of SW Modern Gray. What undertones does it have? I know paint can change color depending on the wall. I have a northern exposure in great room. Im thinking of using modern grey for all walls. Do you think ther is enough contrast with shell white molding? Thanks for reaching out! Yes, that will be enough contrast. I always recommend testing out the paint samples first, however to be sure that it works in your lighting. Shell White is more cream, so if you are looking for a crisp and fresh update, a bright white or slight off-white, like Extra White or Alabaster pairs perfectly with Modern Gray! Does Modern Gray lean pink at all? I want a warmer gray but don’t want it to come off pink.The trim and doors will be Snowbound. Modern Gray is a gorgeous color! I have not ever seen it go pink, but I alway suggest painting a sample board to see how the color looks in your lighting. Modern Gray is a warm gray that is a bit lighter than colors like Agreeable Gray. Snowbound is a great trim choice with Modern Gray. Let me know how everything turns out!